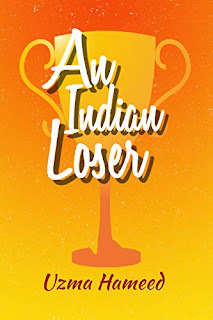 An Indian Loser by Uzma Hameed is a beautifully written contemporary novel that mirrors the grim realities of Indian societies. 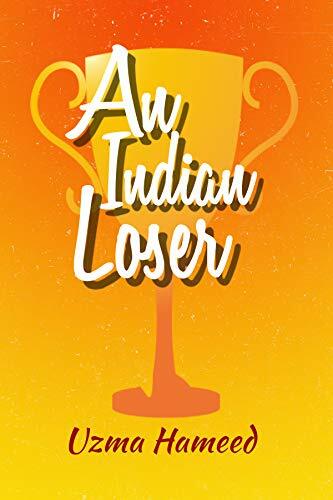 Through this story the author has concerned the voice of many and put in a lot of efforts to show as how our societies treat losers and winners. The psychology behind is very simple: if you are a winner, you sail smoothly; and in another case of being a loser, the people around you provoke you mercilessly. On losers, the society endlessly throws tantrums. Coming to the story, the novel is built around a story of a loser (from a society’s point of view). Here, we see Peeyush as the lead character of the story. Well, more than being a loser, it is about as how he became a loser. When the story kicks off, we see that Peeyush is an exemplary character with too much anticipated success. Can success be anticipated too much? It is a sin to anticipate success. Hold your nerves until you become the achiever. Same happens in the case of Peeyush, he is good at studies. His family and neighborhood are sure that Peeyush has a bright future. He will crack competitive exams for engineering and then get a good job and possibly marry a girl of his dreams. However, there is factor of destiny that many ignored. Things are not what they seem or we think of. An unexpected turn steers him away from everything – from his family, friends, moral values, and of course the society he came from. Peeyush becomes a loser at an early age, just before passing his 12th examinations. The story is staged against Kanpur and many other parts of North India. For encouragement, he has nobody except his friend Mustang – a simple and unpretentious person, according to Peeyush. When Peeyush loses his engineering dream, he goes berserk mentally and runs away from his native place. Next, he is collected by his friend Mustang and they study in the same college. Peeyush, heartbroken, prefers to opt for B.A. Though Peeyush has slumped mentally, well he is obsessed with success. It’s his stubbornness to become a winner at any cost. He doesn’t realize when and how he gets into politics through one of his acquaintances Chunnu Bhaiya. From here onwards, the novel takes an interesting political stance and Peeyush keeps his ‘struggle for win’ alive. As the events unfold one after another, the saga of win vs. lose turns heated and packed with action. The battle becomes fierce. The more Peeyush tries to emerge as a winner, the more he loses the confidence of his near and dear ones. Is he going right in the field of politics? Are his mentors really wanted to see him as a popular figure or just wanted to use him? As the novel advances, so many propositions get along the way and readers are thrown deep into the abyss of thrill and suspense. Would Peeyush see glory in success, or destined for another failure? It is a time-tested story of resilience and resurrection. Well-written and well-edited, Uzma Hameed is a promising literary talent, and her literary excellence is lollapalooza.